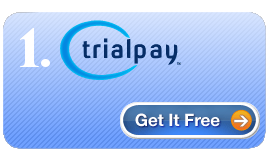 We've teamed up with TrialPay to offer any of our products or services at no cost to you! You will be given a coupon code worth $20, which can be used to order any product or service you like! All SHOUTcast and Icecast Packages are set up instantly, you can have your professional radio station up in minutes! Just upload your mp3's to the auto dj, run ads, intros, voiceovers and more -- FREE! Free Auto DJ and SHOUTcast or Icecast Server Want a SHOUTcast Server and Auto Dj package but don't want to pay for it? Agree to try out one of TrilalPay's products and they will pay for your package! You will be given a $20 credit which can be used for any product or service we offer! Tiral Pay orders are set up Instantly!! !